Back pain can get you down, but at East/West Spine and Rehab, we can help bring you back up to your full potential by alleviating that pain in a natural, non-invasive way. Our Smyrna chiropractor Dr. Ara Leguizamon is experienced in several chiropractic care methods of pain relief and management, and spinal decompression is one of them. Spinal decompression has been especially effective for specific situations that involve compressed nerves. Our three-part spinal decompression program has helped alleviate pain and restore optimum functioning to those in the Mableton, Marietta and Austell communities. Our Smyrna chiropractor Dr. Ara has effectively used spinal decompression to treat a number of health conditions and personal injury issues. The process has been particularly helpful for treating herniated and protruding discs, posterior facet syndrome, sciatica, and degenerative disc disease. One of the reasons our spinal decompression therapy has been so effective is the three-part DynaPro Spinal Health System that we follow. The system has FDA clearance to be used for pain relief associated with disc and back-related issues. Spinal decompression is the second step in the system’s program with Light therapy being the first and core-stabilization exercises being the final step. The DynaPro System starts with light therapy, which relaxes the back and neck muscles before decompression can begin. The relaxation phase is an important step in the program, as muscles that are sore, tense or prone to spasm cannot be as effectively treated. Light therapy is applied through a light pad or light probe and uses a specific wavelength to penetrate deeply into the muscle tissue. By penetrating into the muscle tissue, light therapy fully relaxes the muscles so they are more receptive to the spinal decompression phase. Spinal decompression involves gently elongating the spine to increase the space between vertebrae that have become compressed. That compression is often the reason behind herniated discs, a factor in degenerative disc disease and can result in pain from pressing on nerves, as is the case with sciatica. A healthy spine has sponge-like discs between the vertebrae. 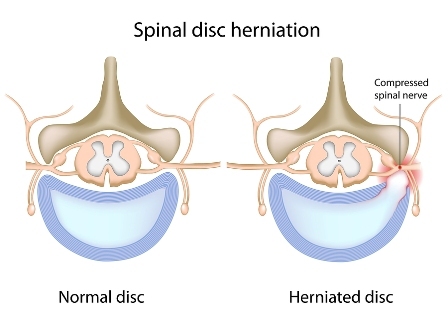 The discs naturally absorb shock and help keep the vertebrae aligned. A spine affected by a personal injury or health issues may need a little boost with its alignment or spacing between the vertebrae. 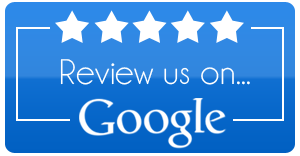 This is where our Smyrna chiropractor can use spinal decompression. The technique can take pressure off the discs and increase the space between them, resulting in an increased blood flow, promotion of healing, and reduction or eradication of neck and back pain. Herniated or protruding discs can flow naturally back into place. Spinal decompression helps relieve pressure on the affected nerves and restores proper spinal alignment. Core-stabilization exercises make up the third phase of the DynaPro Spinal Health System. Our Smyrna chiropractor will prescribe a variety of core exercises to help improve strength and flexibility. The exercises also serve to fortify the area, maintain proper alignment and prevent future injuries. If you suffer from back pain, call us at (770) 432-5600 to learn if spinal decompression therapy is right for you.